Garden sheds come in all shapes and sizes. They can made from wood, metal or composites . What most have in common is a lack of insulation making them often damp and drafty. Anti drip layers can work in mild conditions but when the weather gets colder these layers are of limited use. What to do? 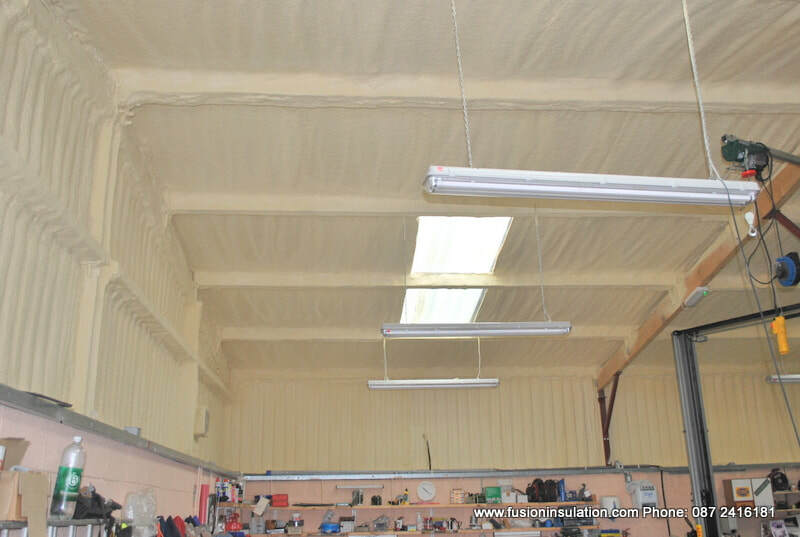 Spray Foam is the answer. We can spray a layer of hard insulation inside your shed to make it so warm and comfy you'll almost want to move in permanently. Phone us today on 087 2416181 for a quote and you'll soon see that sprayfoam isnt just the superior solution, its also one of the most cost effective solutions on the market.